It doesn’t seem all that long ago – and it wasn’t, really – that Internet access in the Southern Cone countries was hard to come by. I can recall, in the mid-1990s, having to seek out an Internet gatekeeper at the Universidad de Buenos Aires (UBA) to send some electronic files to my then-publisher in Australia. Fortunately, it’s gotten far easier there and en route, as my recent trip to the Argentine capital and back showed. It’s not glitch-free, though. 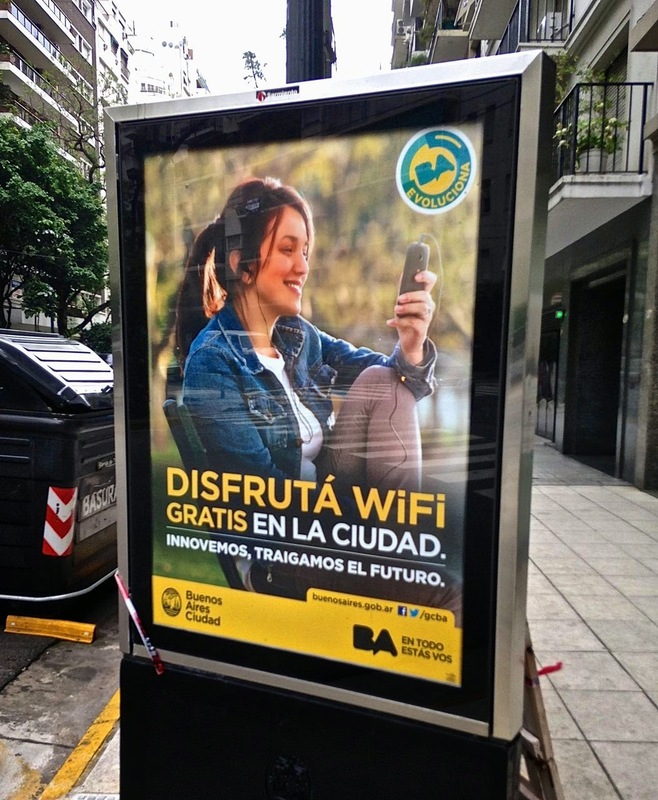 At present, in Buenos Aires, there are signs all over town celebrating free municipal WiFi but, whenever I tried to access it, the network never showed up on my phone. 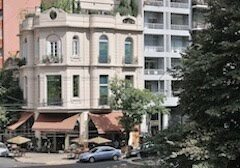 Personally, that’s not a big issue because we have fairly reliable Internet access in our apartment – at least as reliable as anything in Argentina can be - and when I’m out around town, plenty of hotels, cafés and restaurants have good connections. Still, it would be refreshing to see services as advertised – for once, at least. By contrast, in a most welcome surprise, the city’s Aeropuerto Internacional Ministro Pistarini (EZE), better known as Ezeiza, now has very good free WiFi service thanks to the cell phone operator Personal, with no strings attached. It remains to be seen how consistently reliable it will be, but now you needn’t even sit down and order coffee or a drink (as pictured above) to get connected. Though I travel to South America at least once every year, I don’t fly all that frequently because I’m usually gone several months at a time. 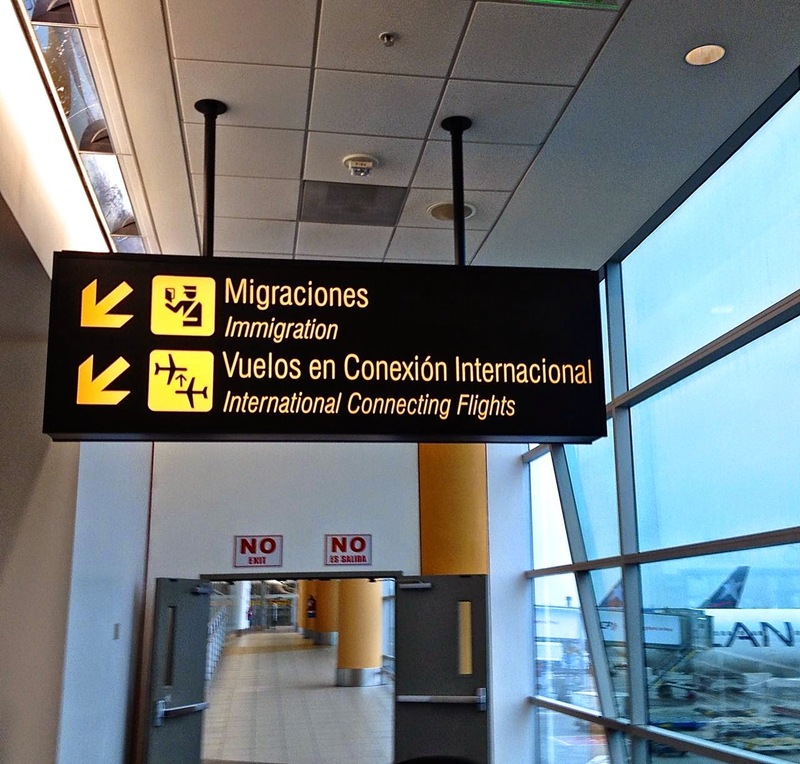 This time, I made my connections to and from Buenos Aires via Lima’s Aeropuerto Internacional Jorge Chávez (pictured above) which had the look of a grimy bus station until its expansion and modernization in 2005; it’s since become an important hub for air traffic throughout the continent. That said, Lima’s WiFi feels like something from the dial-up Stone Age – you can get a free 15 minutes, but logging on is a slow process that eats up some of that time, after which you gotta pay. None of the airport’s cafes or restaurants to my knowledge, offers its own WiFi access – they all referred me to the 15-minute service. 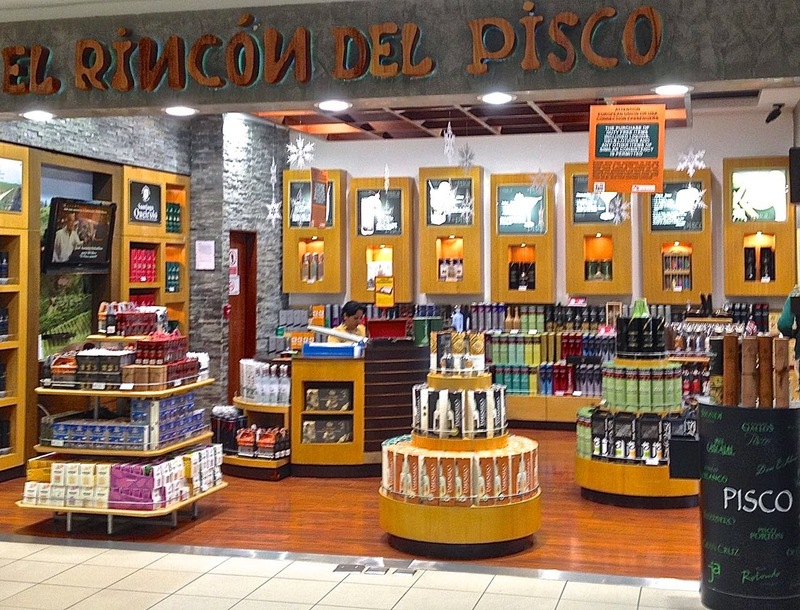 At least, if you’re stuck without a connection here, you can at least find a bottle of pisco in the shop (pictured above) or a really good pisco sour at one of the bars. 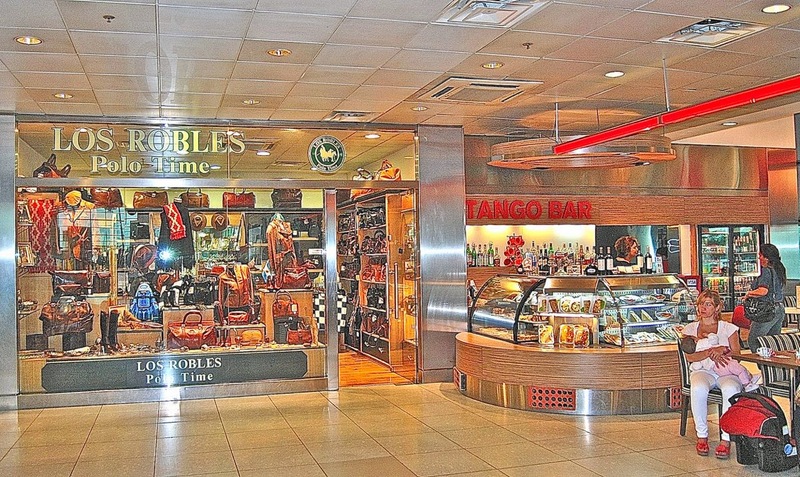 My other main South American airport, Santiago’s Aeropuerto Internacional Arturo Merino Benítez (SCL, pictured above) doesn’t really have free WiFi either, except in the VIP lounges, but several cafés and restaurants have their own networks. I personally don’t object to paying if I get something for it, so that works for me. It’s hard to find anything free in the US but, at San Francisco International Airport (SFO), there is now free WiFi service if you’re willing to endure a brief advertisement and, after a while, it times out. You can easily log on again, though. At Los Angeles International Airport (LAX), which is my preferred departure airport from the US, there is similar service, though it’s not so fast as a paid connection. My friend Dan Perlman of Casa Saltshaker dissents from my experience with Buenos Aires's free WiFi, so I'll insert his comment here: "Not sure why you had trouble getting WiFi access around the city - I get it all over when I'm out in the streets - there are two services, neither of which requires a password - one is labeled BAGOWEXWiFi, and the other is FibertelZone. Pretty much every major plaza and municipal building has a hotspot, so I pick up one or the other regularly."